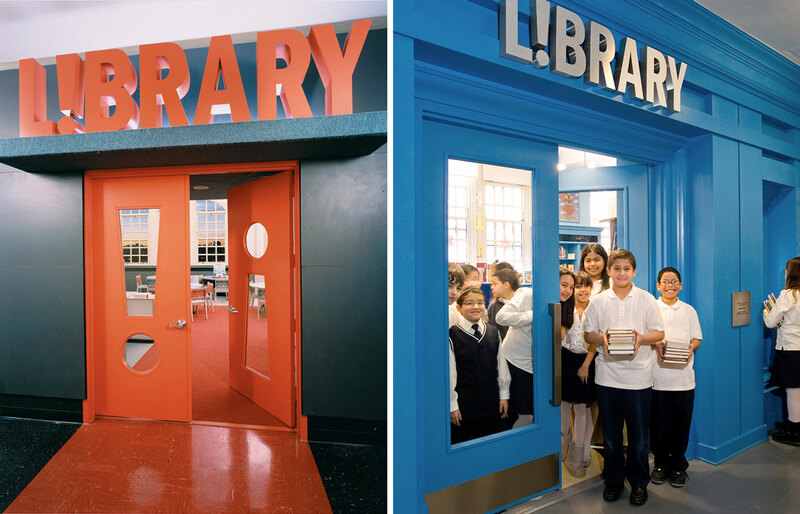 Nearly ten years ago, Pentagram was asked to contribute to a visionary effort by the wonderful (and design-conscious) Robin Hood Foundation: an initiative to build new school libraries in elementary schools throughout the five boroughs of New York City. 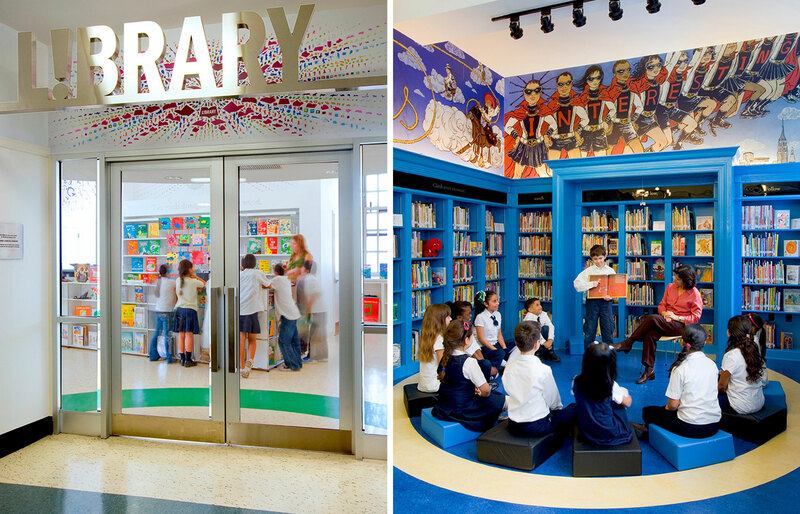 A range of talented architects would design the libraries; private companies would donate books and funds; and we would provide the graphic design, including signage, wayfinding, and a masterbrand that would tie all the sites together. Along the way, we discovered something interesting. 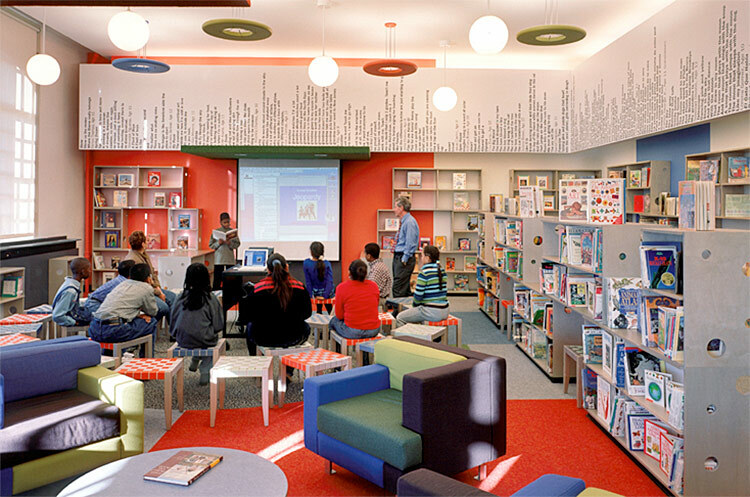 The libraries are usually located in older buildings with high ceilings, but the shelves in the libraries can’t be built higher than kids can reach. This means there is a space between the top shelf and the ceiling, an up-to-six-foot band around the room just begging for something special. 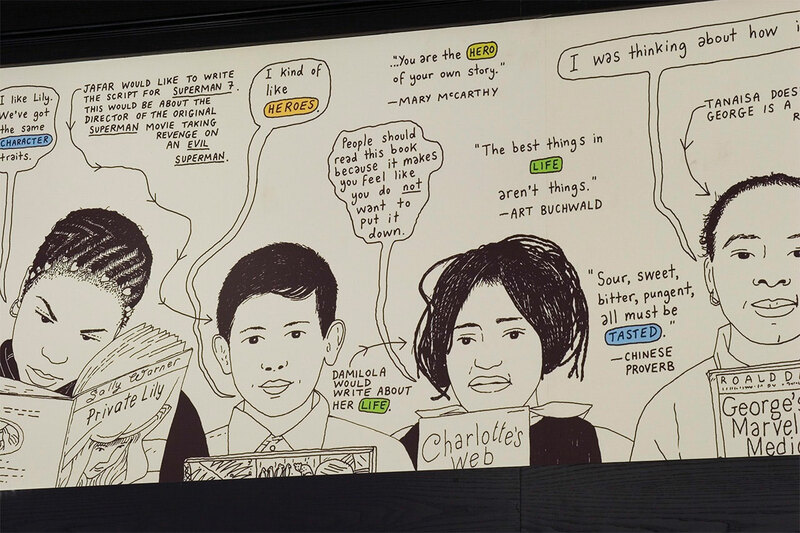 That something turned out to be murals. 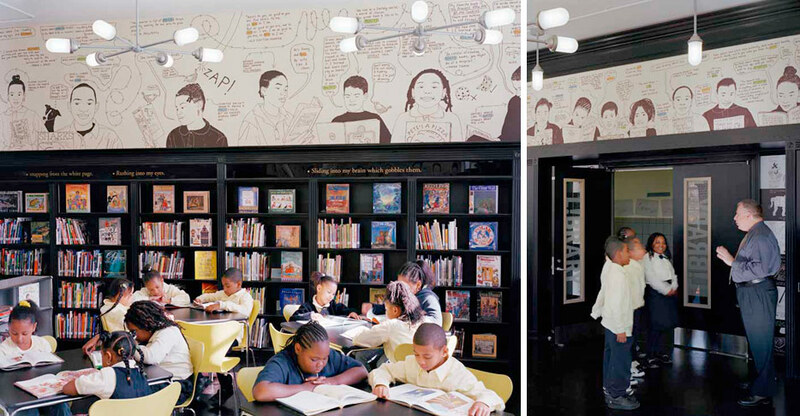 And the results can now be seen in schools all over New York City, including five brand new ones in the Bronx which feature murals by Rafael Esquer, Maira Kalman, Christoph Niemann, Stefan Sagmeister and Yuko Shimizu, and Charles Wilkin. 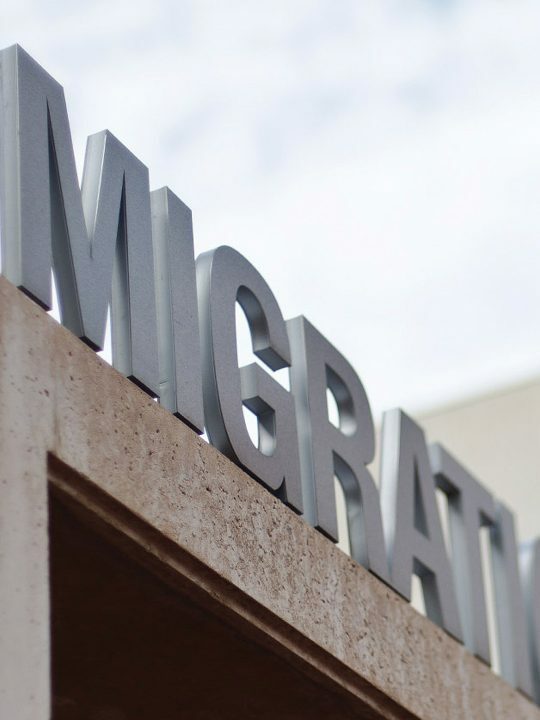 Dozens of architects have worked on the project since it began in 2000, including Tod Williams and Billie Tsien, Marian Weiss and Michael Manfredi, Jared Della Valle and Andrew Bernheimer, Henry Myerberg, and Deborah Berke. 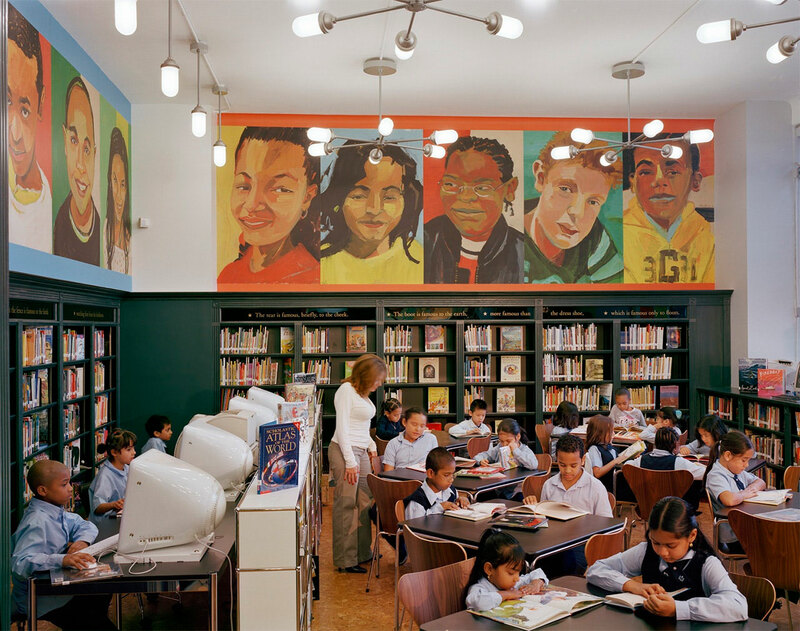 The first mural, a series of photographic portraits by Dorothy Kresz, was installed in a library in Brooklyn’s P.S. 184 that was designed by Richard Lewis. 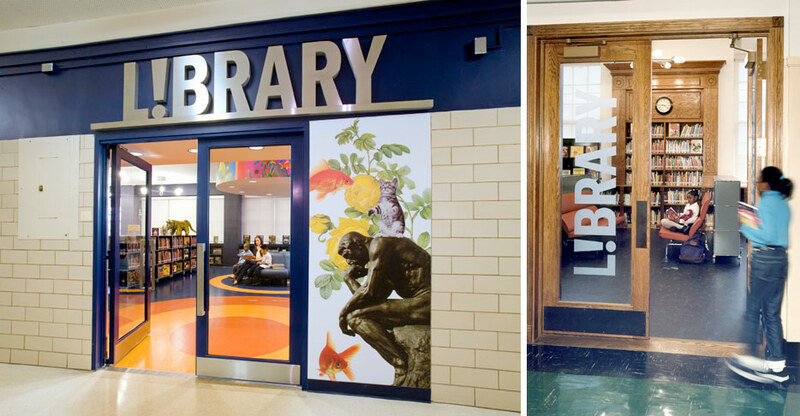 It was an immediate hit with students, librarians and teachers, and in the next wave of installations, murals were commissioned from Peter Arkle and Lynn Pauley, who did four in three weeks. 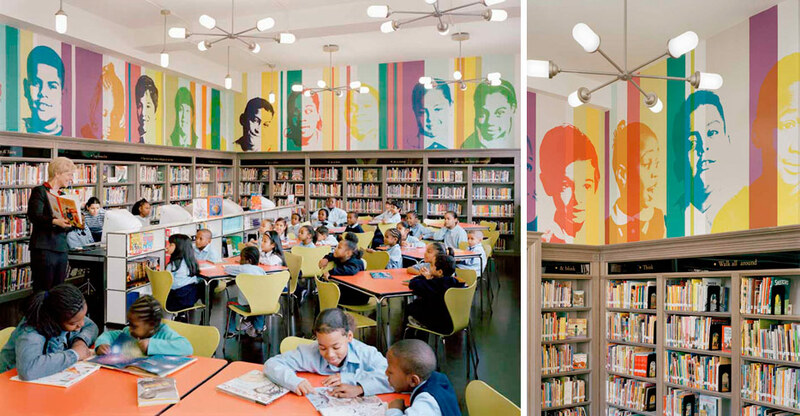 The latest suite of murals are perhaps the most ambitious. 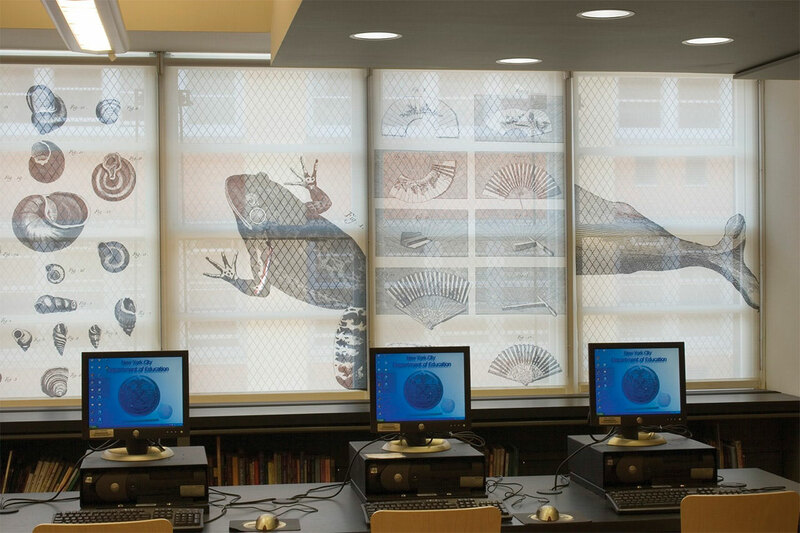 In the words of Randy Kennedy in the New York Times, they “bring to mind the murals of the Works Progress Administration.” The Pentagram team selected the designers and illustrators, worked with Robin Hood and the schools to pair the right artist with each library, coordinated the production process with architect Richard Lewis, and served as creative directors throughout the entire process. 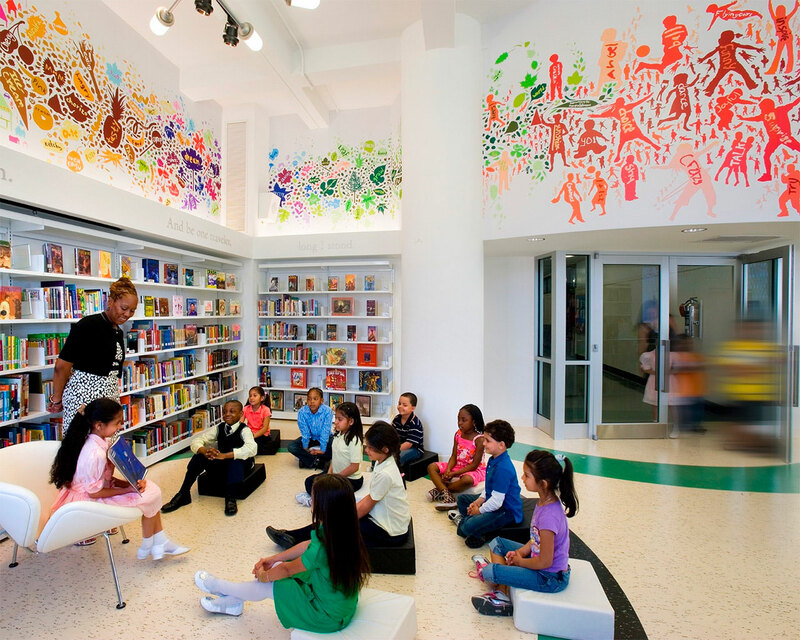 Working with budgets that were — to say the least — modest, Esquer, Kalman, Niemann, Sagmeister, Shimizu and Wilkin created works of art that will entertain and inspire schoolchildren for years. 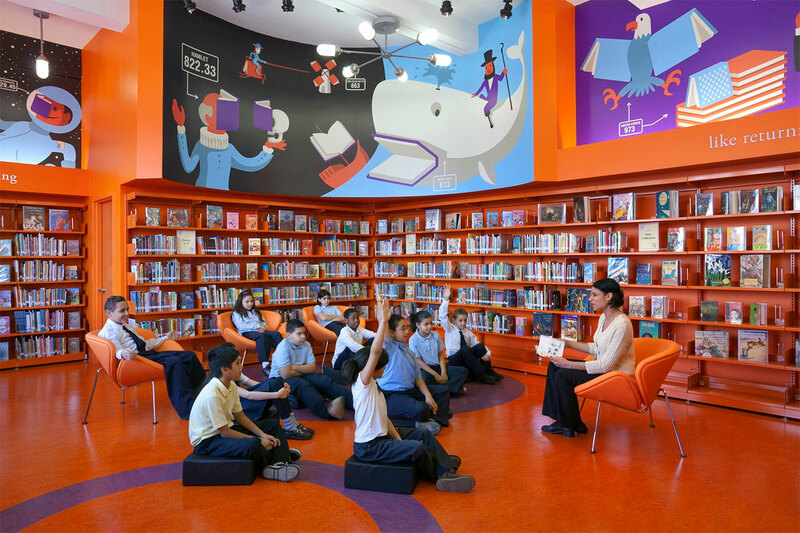 “Each of the designers and illustrators we worked with clearly approached this project as a labor of love, and it shows,” says Bierut. Project Team: Michael Bierut, partner-in-charge; Josh Berta, Rion Byrd-Gumus, Kai Samela, designers; Tamara McKenna, project coordinator.